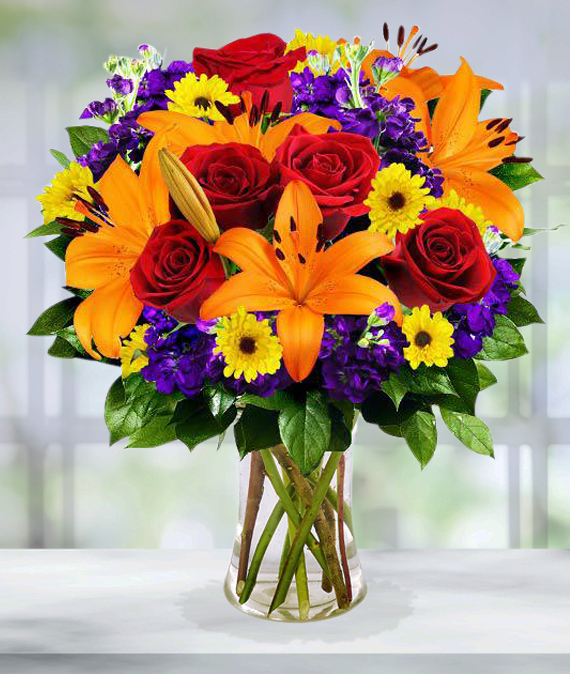 Majestic and gorgeous, this stunning arrangement combines classic flowers with a fresh new spin perfect for fall. A popular favorite, we are excited to share this gorgeous arrangement with you and your recipients! Add a touch of autumn elegance to a loved one's home today!